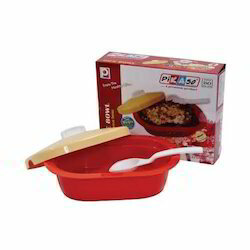 Prominent & Leading Manufacturer from Sonipat, we offer soup bowl set, rice bowl, sprout maker, spoon soup bowl and sizzler set. 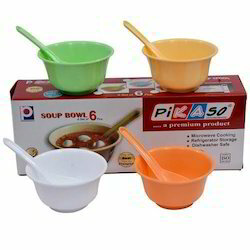 Due to our proficiency, we are manufacturing, supplying, exporting and trading a wide collection of Soup Bowl Set. With affluent industry knowledge and understanding, we are occupied in offering highly reliable Rice Bowl. We are offering Sprout Maker to our client in gift items. These are offered to make healthy cooking easier and quicker than ever before. 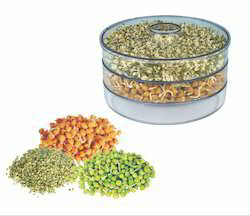 Such kitchen products are demanded by our diet-conscious customers for preparing sprouted food with high nutritive value. We are offering Spoon Soup Bowl as a gift item. We are offering Sizzler Set to our customers. Manufactured under the supervision of trained professionals using the quality approved raw material, the offered product is designed in conformity with international quality standards.